When Harlan Howard coined the phrase ‘three chords and the truth’ to sum up country music, he encompassed the simplistic and honest approach many performers have to sharing their thoughts through song and music. 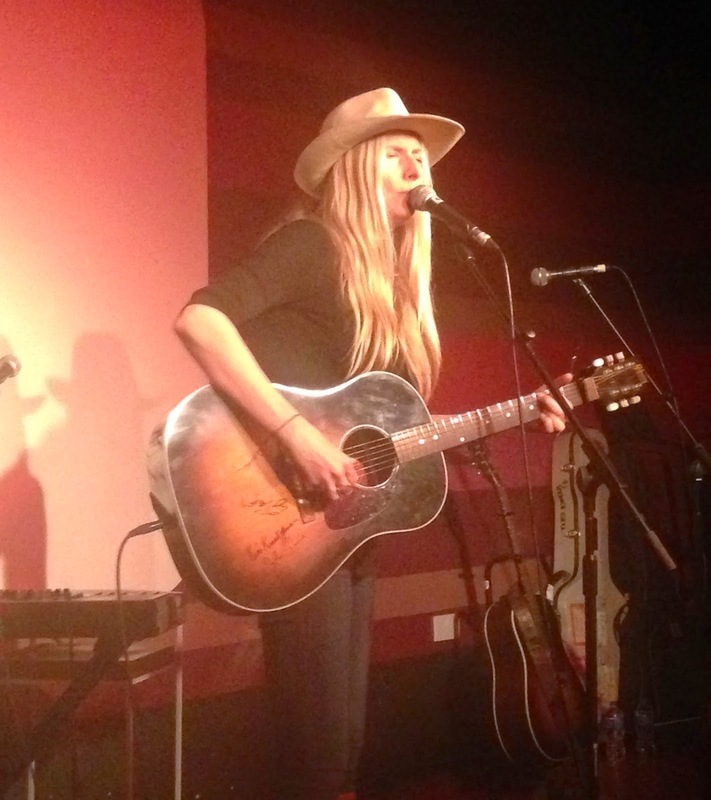 Holly Williams is a shining example of how this style can be an absorbing and entertaining experience for audiences tuned into her wavelength. The Nashville based artist has finally brought her acclaimed 2013 album THE HIGHWAY to the UK in a series of headline shows and the Glee Club in Birmingham is representative of the numerous polite listening venues that will host her on this tour. Without being too clichéd about Holly’s background, it is difficult to ignore the enormous influence this has on her music. Holly glows with pride at the hand she has been dealt with and this is an integral part of her live show. Whether it’s in lyrics referring to Grandpa, Cadillacs and events in January 1952 or an encore cover of ‘I Saw the Light’, the looming shadow of Hank is never too far away. However this should not detract from Holly being a fine performer in her own right and one addictively attracted to the thrill of being on the road performing live, which has long been her forte. This latest tour sees Holly fast approaching motherhood but plans are already afoot to combine raising the next generation of the Williams clan with continuing to take her music to the fans. For this evening’s show, she was joined by her husband Chris Coleman on acoustic guitar and Annie Clements on electric upright bass. Chris was able to make this date, and the previous evening’s London show, by taking time out from his current role as drummer in the Kings of Leon. While the supporting roles helped Holly, she is just at ease on her own as demonstrated by a solo interlude where she sang ‘Alone’ and ‘Without You’ from the keyboard and the opening number ‘Sometimes’, which preluded the arrival of Chris and Annie. For a long time Holly has been bracketed more in the folk style singer songwriter set of country music setting her apart from what has been deemed marketable by the Nashville elite. This hasn’t deterred Holly and her desire to continually craft high quality songs was reflected in the choice of two covers featured in the show – John Prine’s ‘Angel From Montgomery’ and a rather good version of ‘Clay Pigeons’ by Blaze Foley. This influence is clearly making its effect when you listen to many of the originals she played tonight including from the latest album ‘Drinkin’’, The Highway’ and ‘Gone Away From Me’. Very few present would disagree with the show’s highlight as Holly turned the spotlight on her maternal grandparents with a stunning, tearful and emotional rendition of ‘Waiting on June’. This is a worthy closer on THE HIGHWAY and likewise brought the main set to a perfect climax prior to the Hank sing along finale that raised a bout of optimism after Holly, without apology, admitted she has a batch of rather sad songs. However subjects like a near fatal car crash (‘Without Jesus Here With Me’) and a friend’s addiction (‘Give It Up’), sum up where a lot of songwriter’s inspiration comes from. 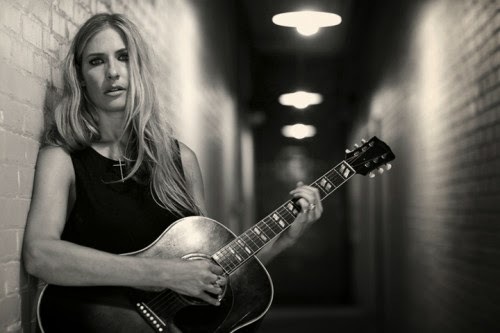 The Kerouac styled free spirit and ability to convey her thoughts and emotions via song make Holly Williams an exceptional ambassador for country music in the 21st Century. Those present in the Glee Club’s studio room were exposed to an elite serving of southern charm amidst an artist who continues to do the right things well.